Only three students had access to a teacher’s racy photos before they went viral. There’s Mouse, a brainy overachiever so desperate to escape his father and go to MIT that he would do almost anything, legal or not. Then there’s Drew, the star athlete who can get any girl’s number—and private photos—with his charm but has a history of passing those photos around. And finally there’s Jenna, a good girl turned rebel after her own shocking photos made the rounds at school last year, who is still waiting for justice. All three deny leaking the photos, but someone has to take the fall. This edgy whodunit tackles hot-button issues of sexting and gossip and will have readers tearing through the pages to reach the final reveal. 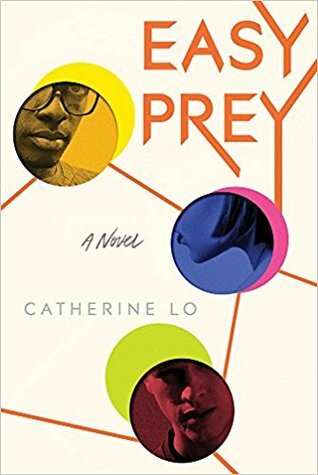 About the Author: Catherine Lo is the author of How It Ends, which Jeff Zentner called “as harrowing and realistic a look at the life cycle of a young friendship as I’ve ever seen.” She has spent the last decade and a half as a teacher working with at-risk youth. She lives outside of Toronto with her husband and two children. My Review: This one was pretty much like One of Us is Lying. This one was about leaked photos of a sexual nature and the ending well I saw that one coming. I think this one would be best suited to those who love the who dun it kind of stories as well as those who don't care about predicitble endings. For me this one came as a take it leave it kind of read. I really didn't care about the story or the characters as taking sexual photos isnt something that I would ever do. Do I Recommend this book? I would try this one from the library first.